Thank you for your comment!! I am going to make a video tutorial for this skirt in the next week and it will include instructions! Believe it or not this skirt is SUPER easy to make! Follow me so you can get updates on this skirt and others! Gorgeous skirt!! You're so talented! Is there a tutorial on how to make this coming anytime soon??? Thank you for your comment! I am going to make a tutorial on this coming this week! Follow me and you can get updates!!! I am stumped! I cannot figure out how to get the split overlaps right on this or how you do the gathers. Your skirt is super cute. Please post instructions. Thank you for your comment! 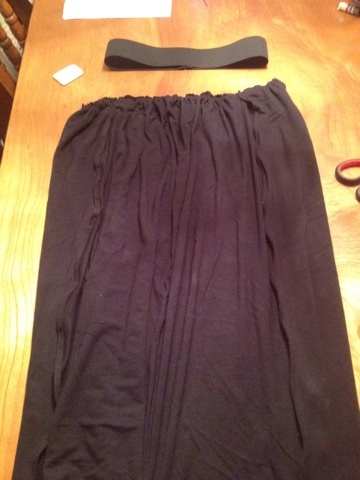 I have posted some instructions on this skirt. 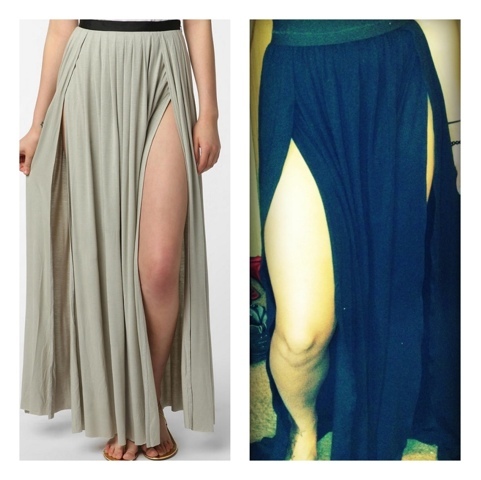 The skirt is made of two panels the overlap in the front. The back panel wraps around the back to the front and stops at each hip bone. The front panel is wide enough to cover the front so the back seams can overlap and make the slit. The gathering is done by using a loose size thread on the sewing machine, I used size 4. Then you pull one side which makes the gather. I hope I can help you finish yours! Please ask me any questions. I will also post a video so you can see. Same here! I started mine yesterday....I feel like I need re-do the seams! Have you had a chance to do your tutorial yet??? Thank you for your comment! I have started posting instructions and I will be posting a video. What seems to be the problem with the seams? When I cut my material I left a little to fold over and finish off the edges. LEt me know if you have any questions. This skirt is gorgeous. Where can I find the pattern? I'm looking to have this made. Thank you for your comment! I actually didnt use a particular pattern for this skirt when I made it but I am more than happy to assist in making one for you as I have also made some for friends that have requested this skirt. I will also be posting a video of how this skirt was made in the future! Thank you again for commenting!